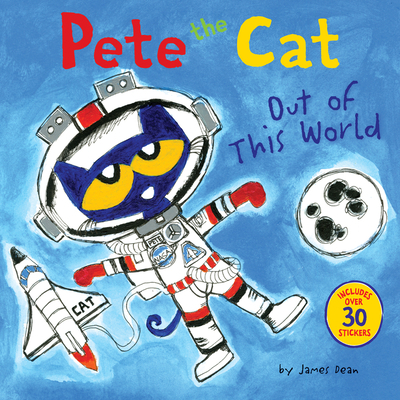 Blast off into space with New York Times bestselling author and artists James Dean and everyone’s favorite cat-stronaut, Pete the Cat, in Pete the Cat: Out of This World. Includes over 30 fun stickers! When Pete heads off to space camp, he gets to float in zero gravity, build rockets, and even goes on an extraordinary interstellar mission that is out of this world—literally. Houston, ready to rock out with Pete the Cat!